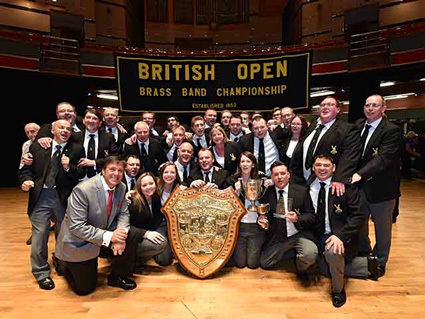 The Black Dyke Band have emerged triumphant with their win at the 162nd British Open Championship with their interpretation of this year's test piece - Ed de Boer's "Vita Aeterna Variations" The contest was held at Symphony Hall in Birmingham on Saturday 6th September 2014. Congratulations to Professor Nicholas Childs and all at Black Dyke on their win. Full results for the day are as under.